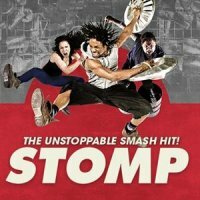 It's been more than 20 years since Brighton residents Steve McNicholas and Luke Cresswell finally assembled their already decade-long artistic collaboration into the Stomp project. After the theatrical excesses of the eighties, with the West End hosting ever grander, more extravagant productions with every season, the Stomp team succeeded in stripping back their show to basics. Not that it was dumbed down, not at all. Stomp is an audacious and risky undertaking as any. Like so many artistic endeavours, one man's all-singing, all-dancing theatrical tour de force is another's ear-offending, bin-bashing craptacular. But Stomp, for all its cheek and chutzpah, soon swept all before it. It shook the cobwebs from every venue it visited with the unashamed in-your-face noisiness giving the show an added dimension. It was, and remains, an absolute smash hit. And, ten years after opening in London (at the Vaudeville Theatre), it is now packing them in at the New Ambassadors Theatre on the Charing Cross Road. Stomp is now booking until Sunday 22nd December 2013, with evening and matinee performances. We have tickets available now, priced from £20.00 to £52.50 for the best stalls and dress circle seats. Note that performances are 1 hour 40 minutes long with no interval and Sunday evening shows begin early, at 6pm (usually 8pm). Mon 22nd Apr 2019 to Wed 15th May 2019 The BodyguardMore Info.. Wed 15th May 2019 Wallace and Gromit's Musical MarvelsNational Film and Television School [NFTS] - Beaconsfield (Buckinghamshire)More Info..
Oct 2017:Special Offer: Tickets to see Stomp in the West End for less than half price!